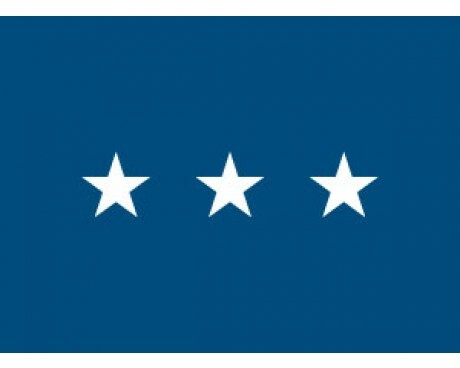 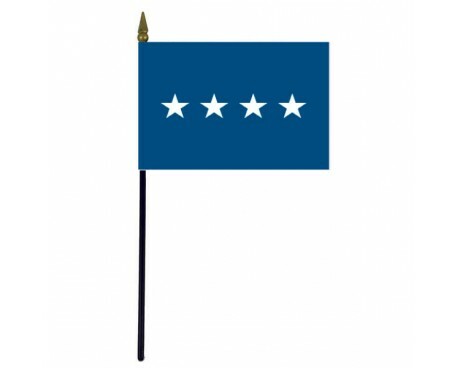 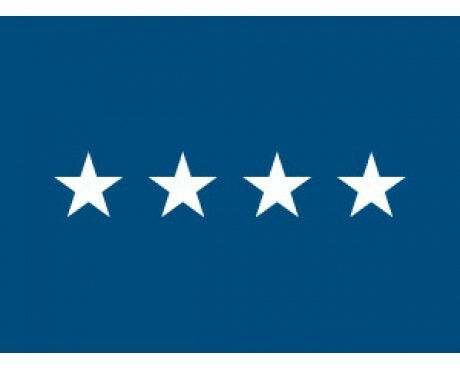 Air Force Brigadier General Stick Flag - 4x6"
Air Force General Stick Flag - 4x6"
Air Force Lieutenant General Stick Flag - 4x6"
The United States Air Force is always keeping a watchful eye on our airspace to ensure that we are safe as a country. 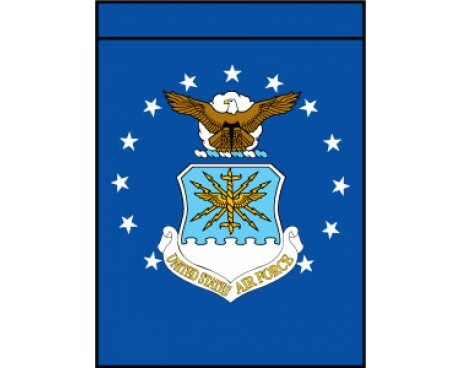 Internationally, the US Air Force provides support and air power to many conflicts and are widely recognized as the finest air force in the entire world. 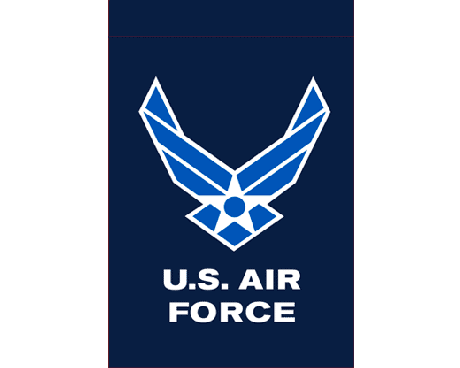 We should all be proud of our airmen and women who devote their lives to our safety. 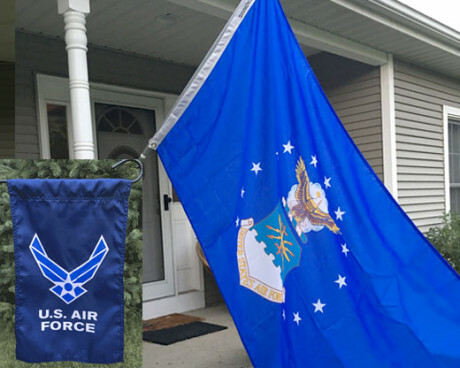 What better way to show your support than by flying Air Force Flags. 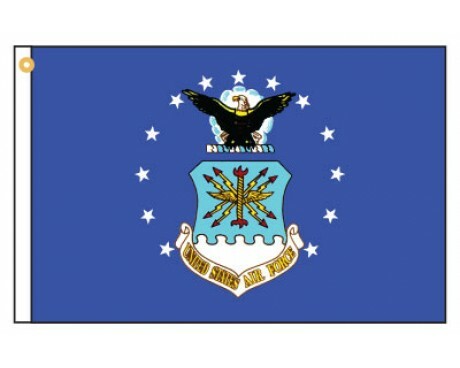 Prior to 1947 the US Army operated various air squadrons. 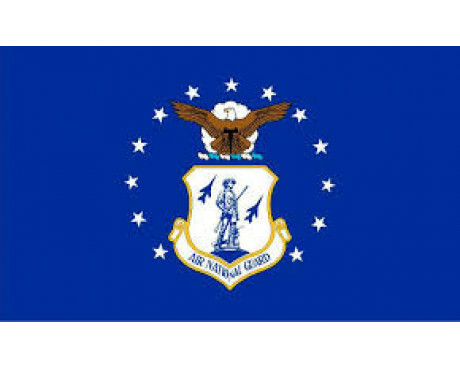 Only after 1947, by act of congress, was the United States Air Force formed as a separate military branch. 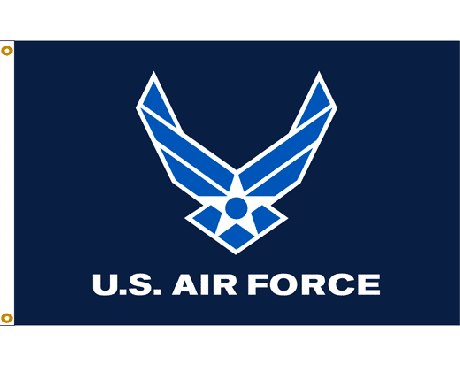 Today the USAF maintains a fleet of almost 6,000 aircraft and has over 300,000 active duty personnel. 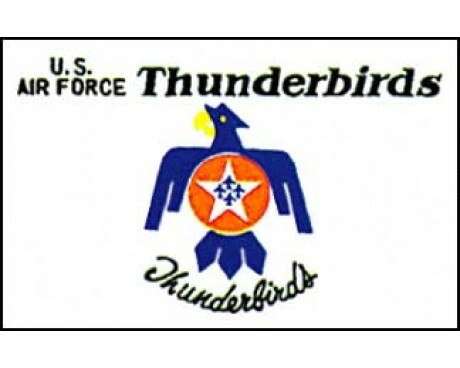 In addition to air superiority, the USAF is leading the fight on cyber warfare and preparing for high altitude (space) conflicts in the future. 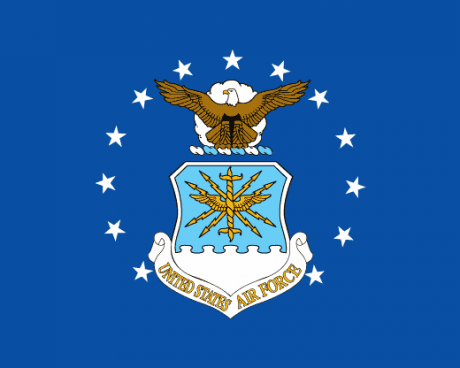 The United States Air Force Flags were designed in the late 1940’s and adopted by President Truman in 1951. 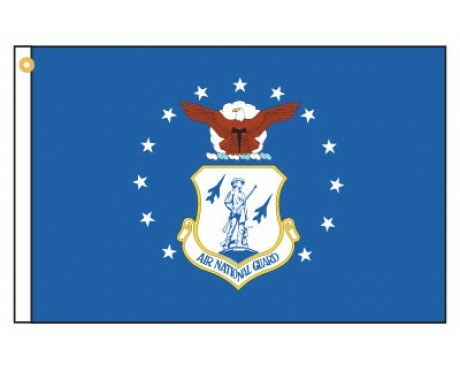 Air Force flags feature a blue background with a bald eagle above a crest, ringed by 13 white stars. 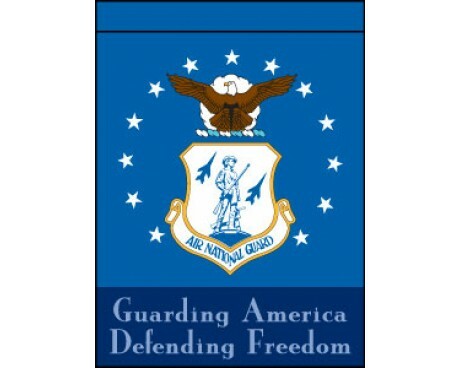 A white cloud behind the American bald eagle represents new firmaments, while the design on the crest is suggestive of the ability to strike like lightning. 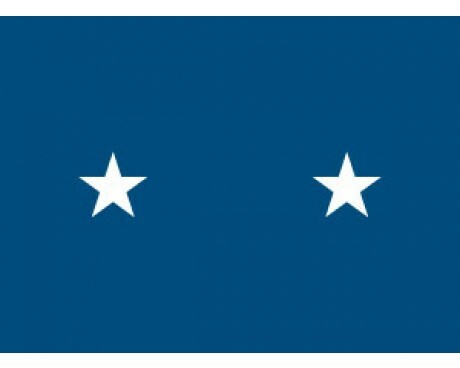 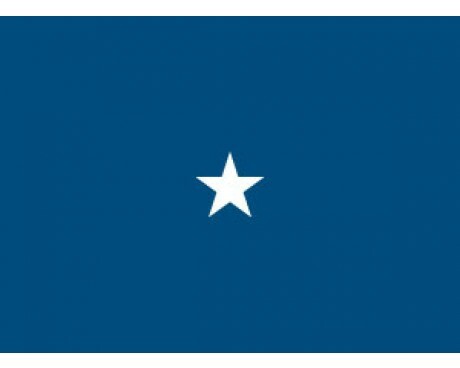 The flag is specified in a 3:5 ratio. 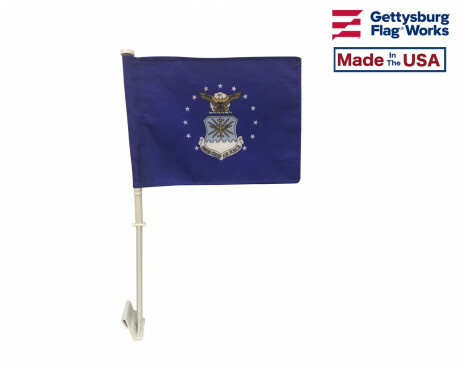 Fly your Air Force Flags with flag hardware from Gettysburg Flag Works . 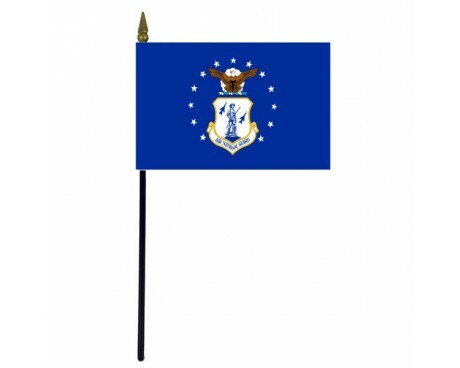 We have multiple styles of brackets and flagpoles to choose from so that your Air Force Flags look their best. 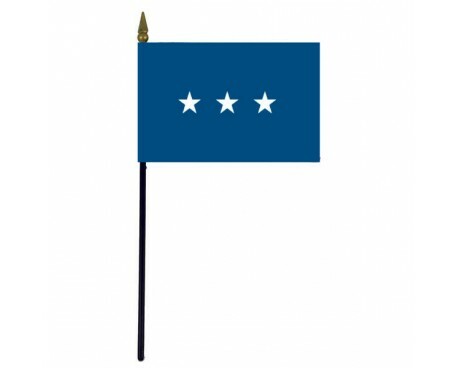 Gettysburg Flag Works specializes in making custom unit and battalion flags for military services . 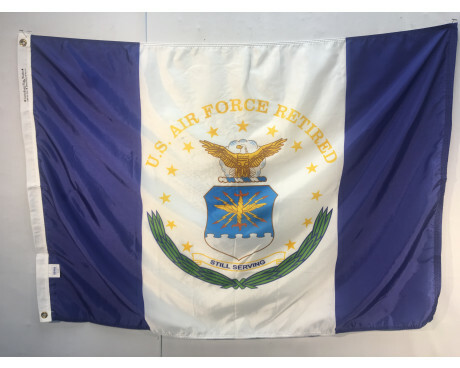 Whether you are looking for a specific historical flag or a custom guidon for your unit, we can help you design your custom Air force flags today! Show your support for the brave individuals who protect us from the air. 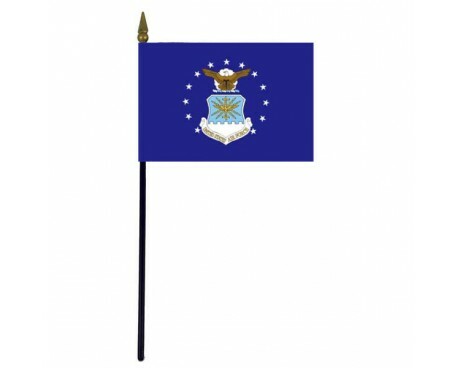 Browse our wide selection of Air Force flags and place your order today! 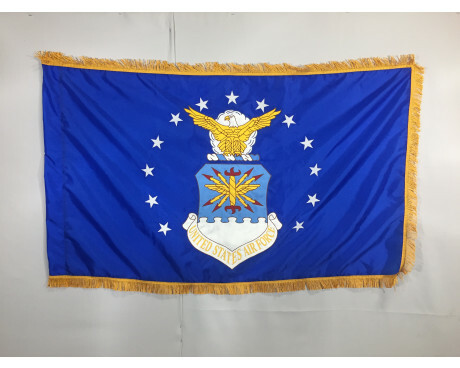 Have questions or can't find the product you are looking for? 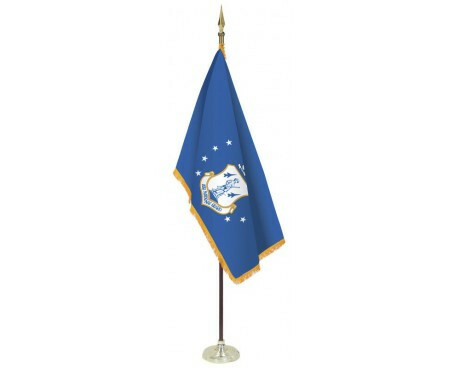 Contact us online or give us a call at 1-888-697-3524 and we would be happy to assist you.